Recently, CSNTM acquired multispectral imaging equipment (MSI) in order to digitize manuscripts whose text cannot be read with the naked eye. MSI is an advanced camera technology, originally developed by NASA for satellites. 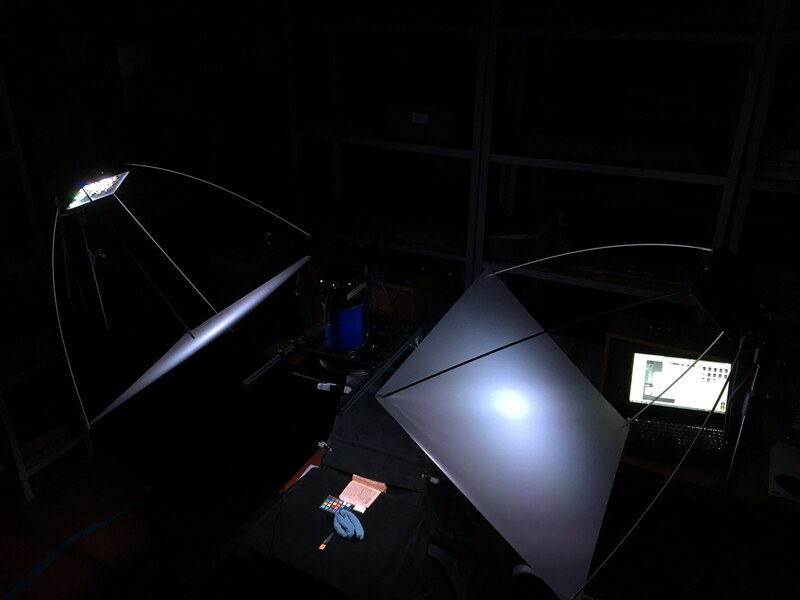 The equipment we purchased digitizes manuscripts at 15 points across the light spectrum—from ultraviolet to infrared—in order to produce better, more revealing images of manuscripts and the texts they contain. MSI images are superior for two reasons. First, they are more scientifically precise in how they represent color than a traditional RGB camera, thereby providing better color data to archivists and art historians than was previously possible. Second, and more important for textual scholars, the images can be processed to reveal details that have not been seen for centuries! This is especially important for manuscripts that are illegible because they deteriorated over time or are palimpsests—a codex that had its original text scraped off and then was rewritten with a different text. CSNTM is already using MSI to digitally preserve manuscripts on its summer 2018 expeditions. After a period of intense training, we sent our team to image manuscripts in multiple countries. The manuscripts being digitized include one of the most important parchment manuscripts we have ever digitized along with one papyrus and four other majuscules. Of course, the images captured with MSI equipment will be made available free for all, and free for all time at www.CSNTM.org. We can’t wait to share with you what this amazing technology reveals! The Center purchased this state-of-the-art equipment after raising $125,000 over the last two years. This funding was provided by a generous grant from the Hillcrest Foundation, Bank of America, N.A., Co-Trustee, and dozens of other generous donors. Thank you for your partnership with us to preserve ancient manuscripts for the modern world!